We are increasingly worried about threats to Syrian refugees in Lebanon after the deaths of four Syrians in custody of the Lebanese Army. 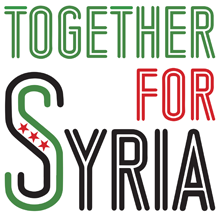 The following letter has been signed by several Syrian community groups in the UK. 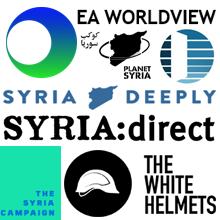 We invite further signatures from UK refugee and human rights groups. We are writing to you to express our grave concerns over the mistreatment of Syrian refugees in Lebanon. Late last month, the Lebanese authorities began a campaign of persecution against Syrian refugees in the country. On 30 June, the Lebanese army raided the Arsal refugee camp, arresting 400 refugees at random. A few days later the bodies of at least three of those refugees were returned to their families. They had reportedly been tortured to death by the Lebanese army. One of the dead was a Syrian nurse and anaesthetist, Anas al-Husaiki, who had previously treated casualties of the war inside Syria. Human Rights Watch has called for ‘a formal, transparent and independent investigation’ of the deaths. Reuters has subsequently reported that a Lebanese military prosecutor ordered forensics to examine the bodies of four Syrians who died in army custody. The Syrian National Coalition has said as many as ten people died in custody. The rest of the refugees detained in Arsal refugee camp are still in Lebanese prisons. Lawyer Fahd Al-Mousa has said that they are now ‘undergoing the worst forms of torture’ by Lebanese security forces. According to some reports, around 5,000 Syrian men and women are imprisoned in Lebanon either by the Lebanese government or Hezbollah, the Lebanese militia fighting alongside the Assad regime in Syria. Syrians believe the Lebanese government wants to keep quiet its crimes against refugees in Lebanon. It seems that Lebanese authorities have adopted a policy of intimidating and terrifying Syrian refugees, forcing them back to Assad-regime held areas of Syria where they face an uncertain fate. Only public pressure from around the world can bring a halt to these actions. The UK is spending millions helping train the Lebanese army, with £15 million for border guard training and £4.5 million for general training announced last year. The UK’s Secretary of State for International Development Priti Patel visited Lebanon earlier this year, meeting with Lebanese Prime Minister Saad Hariri, and touring Syrian refugee camps. She also reaffirmed that the UK will continue to invest £160 millions over four years in education in Lebanon. The Lebanese authorities’ latest actions against Syrian refugees seriously cast doubt on their suitability to be direct recipients of UK aid and military support. The international community must work to ensure to the safety and protection of Syrian refugees in Lebanon. We call on the UK government to urgently raise the issue of the detention, torture, and killing of Syrian refugees with the Lebanese government. Syrian refugees detained in Lebanon must be charged or released immediately and the International Committee of the Red Cross and international human rights organisations should be able to visit them and monitor the conditions of their detention. There should be an independent international investigation into the reported torture and killing of these refugees, and those responsible must be held to account.